How Do Clownfish Mate and Reproduce? Clownfish reproduce by depositing eggs in batches into a nest that the male builds beforehand on rock, coral or near the sea anemone they inhabit where they are fertilized by the male who guards the eggs for 4 or 5 days until they hatch. Up to 1,000 eggs can be deposited at one time. Clownfish breed all year long in tropical waters. Courting behavior includes extending fins, biting and chasing, with the male eventually chasing the female to the nest he has built. She releases her eggs there. 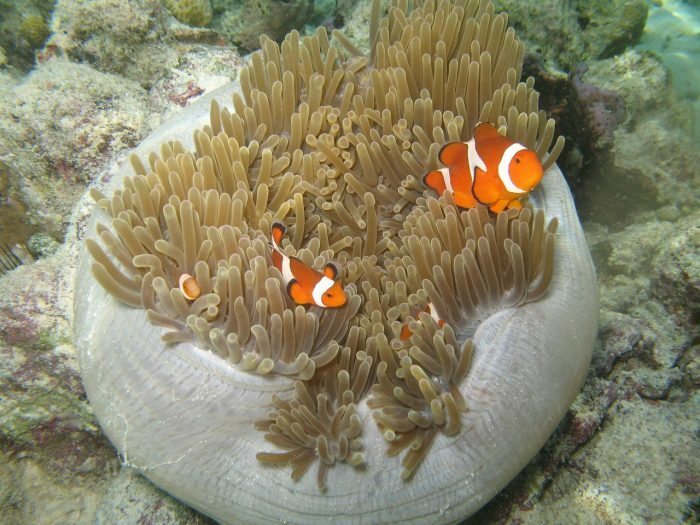 In a clownfish group, which consists of a male, female and several younger males, if the female dies, the male becomes a female and breeds with one of the other males.